I had been a speech therapist for many years, but this was the first time I had worked in a nursing home with so many frail elders. In that setting the therapy I offered was mostly about swallowing, not speech. People who don’t work with that population may not realize how serious it can be for an elder person not to swallow properly. Food and liquid get aspirated into the lungs, which can have dire, even fatal consequences. The gurgling sound the breath makes that people call the “death rattle” is because of fluid in the lungs. A person literally drowns to death. One of my clients was in very bad shape. He had a medical condition that caused him to have repeated strokes. He would make a little bit of progress in learning to swallow properly, then stroke again and be right back where he started. Several times after a positive session in the afternoon, the next morning his breath would again be gurgling in his lungs. Since conventional therapy was not getting us anywhere, I thought I would try healing prayer. At Ananda I had learned to pray with upraised hands, chanting AUM out loud to “permeate the ether” with my prayer requests. In the nursing home, with the halls full of medical personnel and the doors of the rooms kept open, I thought I should do something less obtrusive. The man was sitting in a wheelchair and I stood behind him. I prayed to Master to use me as his instrument. Then, mentally chanting AUM, I placed my hands gently on his shoulders. 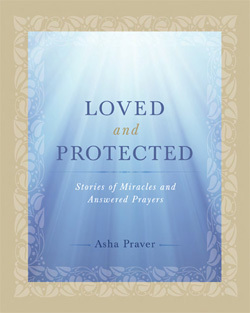 I was somewhat new to the practice of praying for people, and certainly didn’t think of myself as a healer, so I didn’t know what to expect. I pictured healing energy flowing through my hands into his body. At first, I just visualized it. Then, suddenly, an actual force began to move through me. I was awed, even a little stunned, by its power. It went on this way for some time. Afterwards, I felt that was enough therapy for one day and I left him to rest. Somehow I thought he might have died during the night. I certainly expected to hear his breath gurgling the way it had most mornings since I started working with him. To my surprise I found him breathing normally. He was able to do all of the therapy I recommended for him, and at the end even safely take some food and liquid. He stopped having strokes and had no more swallowing or breathing problems. Since then I have worked with hundreds of elderly people. No one to my experience who aspirated fluid the way this man did ever recovered—no one except him. He was still frail, but he was pulled back from the brink of death and became a longtime, relatively healthy resident of that facility. For a while I was concerned that I had done something wrong in healing him, given the confined conditions in which he had to live. Soon I realized I was taking too much credit to myself. I was not the source of the healing energy that flowed through me. God had inspired me to pray for that man, and it was His energy that healed him. It was that man’s karma to live longer, and perhaps, I pray, make more spiritual progress before he passed away.